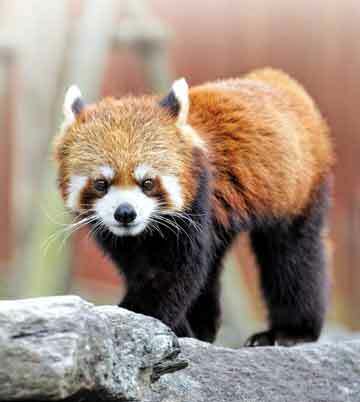 Concerns over disappearing habitats with diverse forms of life have led to a variety of measures for their conservation. There is no dearth of declarations, regulations and programmes to highlight the issue. Educating to create awareness of the urgency is one step. To enable educational measures to highlight the plight of animals in our forests, wetlands and oceans we need information and resources. The book ‘Protected animals of India’ attempts to provide exactly that. 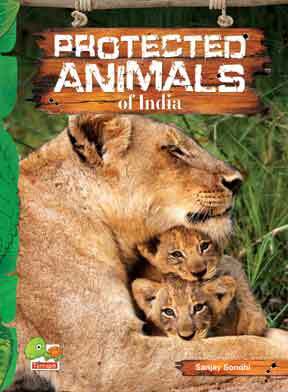 It is a beginner’s guide to learning about protected animals, conservation efforts and about organizations involved in such efforts. Did you know that Koh-i-noor is also a butterfly? Or that there is a shark which is also called a whale – the whale shark? Tigers, Lions, Elephants and Cheetahs have always figured in a child’s school curriculum. The plight of tigers and their fast dwindling numbers have been sufficiently highlighted by the media. But how much do we know of the innumerable number of other animals that are being hunted down or are losing their habitat to mines, factories and malls and residential complexes? This book is a step towards introducing and highlighting the plight of select Biodiversity of India, of several creatures whose existence is hardly known. We are introduced to a butterfly called witch, whose habitats in North-eastern and Eastern India are fast disappearing! We learn that the pygmy hog needs wet grasslands and is threatened by human settlements and agricultural encroachments. We become aware that the Indian golden gecko, the whale shark or the Himalayan Monal may disappear without many of us getting to see them or knowing about them at all, if we do not become involved in conserving biodiversity. This book provides focussed and authentic information on threatened, endangered and soon to become extinct species that still roam the forests, fly amongst flowers, swim in the waters or breed in the fast disappearing wetlands of our country. It is not a comprehensive list of protected animals of India, but it certainly has enough, if a school, teacher, parent or a child wishes to seriously involve themselves and contribute to conservation. Often, discussions on protection of living beings become lost in doomsday predictions of how many species are lost per minute. This book does give such statistics, but it does not stop with that. In its section titled ‘Conservation success stories’ there are examples of efforts that have worked. It is indeed assuring to read that efforts to protect biodiversity can bear fruition and are not lost causes. This section will surely provide encouragement to those, especially the fence sitters, contemplating about taking a plunge in this direction. The book presents information in an attractive format with some stunning images. The photograph on the cover – of the Lion and her cubs – is my favourite. It is so appealing that you are sure to pick up this book without a moment’s hesitation. The writing is largely in an easily readable format. Exceptions are texts on blue and green background, which are a little difficult to read. A more rounded font would have enhanced the visual appeal of the pages. A few errors in the highlighted yellow boxes may be corrected in the next edition, which I am sure will happen. The book is recommended for age groups 12-14. There should be something more challenging for children above the age group of 12, which is not to be found in the book. Hence this is best suited for 10-12 year olds. “Three decades of visiting India’s forests and observing their wonderful wildlife have made me fall hopelessly in love with the world of animals” writes Sanjay Sondhi, the author. He gave up his corporate job to work in the field of wildlife conservation and livelihood issues. This book is a result of his direct experiences in the forests of India. It is therefore no surprise to see some tips given on what individuals can do to contribute in this field. After decades of reading books on wildlife from other countries, it is really heart rending to see a book, and an attractive one on the wildlife of India. The book is well designed and produced to catch your eye. If the objective of declaring this decade as the Decade of Biodiversity is to be realized, then we need more of these kind of resources. The book is produced by the The Energy and Resource Institute (TERI) and is priced very reasonably at Rs 395/-. The cost is however not given in the book anywhere. Remember to pick this up for your child’s next birthday or even for an adult. You could not ask for a better gift.